We have an excellent fork of the now retired Extended Info Mod and Metalliq add-ons here with Wraith and Chappa’ai. Wraith replaces the outdated Extended Info Mod from Kodi, serving as an interface to some popular playlists to sift through content. After finding the content you want to watch, you then can choose the installed addon with supported players to scrape for the content and play it automatically. 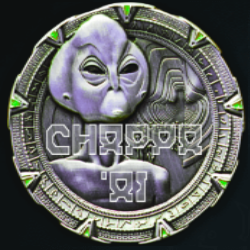 Wraith also installs the Metalliq fork called Chappa’ai, which can be used to search ALL installed and compatible add-ons for an even greater number of links. Be sure you get your own TMDB API Key to improve these addons and enter the info into the settings. Even though it will auto configure everything on install, you can go back in to customize it to the way you want it. Install from repository > Blamo Repository > Video add-ons > Wraith > Install. Wraith is now installed and ready to use.